Provide the puppy with a bed of his own. This can be as simple as an old quilt on the floor or as elaborate as a high-end dog bed. Mastiff's joints are very delicate, so it is advised to give them a soft place to lay. Laying on hard surfaces can cause irritation to your puppies joints. Some mastiffs prefer hard surfaces, however, letting them do this for prolonged periods of time can cause irritation, please be careful of this. Irritation such as this is called a hygroma! The image below is an example I have found online. It is very important for this not to happen as a hygroma can actually damage the surrounding joint. Choose toys that are made for puppies and cannot be splintered, torn apart or swallowed. Give your puppy several heavy duty dog toys designed for big dogs. This will help keep him from chewing on things he's not supposed too. Large rawhide chips, nylon chews and hard rubber balls are fun and safe. If the toy can fit comfortably in a puppy's mouth, it's too small. Toys for a Mastiff can be expensive and you may find that your puppy chews up one type of toy more quickly than the others. When this happens it is easier to determine what type of toy best suits your dog. Sponge toys or items with hard, sharp points or attachments, such as squeakers, which can break off and be dangerous if swallowed. Shoes or other personal clothing. Giving your puppy these items will only teach him that it's okay to chew your shoes and rip holes in your shirts. Balls of string, yarn, cellophane, twist ties, plastic baggies and other household goods that could get lodged in your puppy's throat causing him to choke or suffocate. Children's toys made of soft rubber, fur, wool, sponge or plastic. If your puppy swallows a small particle of any of these materials, it could cause digestive problems. To ensure that the collar fits properly, you should be able to slide two fingers between the collar and your puppy's neck. If your fingers fit comfortably, you have the right size collar. If there is extra room, you need a smaller size. If both fingers don't fit, the collar is too small. A sturdy wide-toothed metal comb and perhaps a mat splitter are needed for longhaired breeds. Establish a weekly grooming program with your Mastiff puppy as quickly as possible. Puppy-proof your home. Put household cleaners and detergents and other chemical compounds in tightly closed containers and be certain they are properly stored. Medicines should be kept out of reach. A good rule to follow is that anything that is not safe for children is not safe for pets. The best time to bring your newcomer home is at the beginning of a weekend. If possible, add a few vacation days. This gives you time to acquaint your Mastiff puppy with its new home and to begin housebreaking and other training. Once in its new home, remember that your adoptee is adjusting to strange new surroundings and people. Children can become especially excited. Explain to them that their new companion needs time out for naps. Show children how to pet the newcomer and the proper way to pick up the puppy. A Mastiff puppy should be closely supervised and taken outside to relieve itself after eating, following naps and play period. Choose a name for your newcomer and use only that name in calling the pet. In teaching a pet its name, as in all training matters, 100 percent cooperation of all family members is essential. When a pet is sent mixed signals, it can become confused and not respond to any of the contradictory signals. Behavioural problems may be in the making. Key words to remember as you welcome your newcomer: Gentleness. Care. Patience. Consistency. Praise. Love. Your reward is a delightful companion for years to come. Avoid bringing home a new pet during busy times such as birthdays and holidays. The noise and confusion may frighten the pet. Family members are generally too busy with the festivities to devote adequate time to help the puppy become comfortable in its new home. Be aware that scolding your puppy after it has misbehaved is fruitless. If you catch the Mastiff puppy in the act of chewing, remove the object with a very firm "no." Let the puppy sense, through the firmness of your voice, that chewing is unacceptable. Correct your puppy quietly and firmly each time you catch him chewing. Realize that chewing is natural behavior for a Mastiff puppy. Be certain your puppy enjoys play periods and enjoys walks with family members. Before leaving your puppy alone, take him for a walk or spend time playing with him. He will have less energy for chewing. Confine the puppy to his crate or to a small area, such as the kitchen. A pet gate may be useful in confining the puppy. Leave drinking water and chew toys. REMEMBER , even though your mastiff puppy is large, it is a very young delicate baby. As your mastiff puppy grows you must not let your mastiff puppy play to hard with other dogs or over exercise . I strongly recommend limiting orrestricting exercise . There will be periods of growth when your mastiff puppy is gaining up to 5 pounds a week. The muscles and tendons do not grow at the same time as bone structure dose. So some times the muscles and tendons are tight over the bone structure . When this happens, if the puppy is jumping or playing to hard , it is very easy do permanent damage your young dog or pup. 1. 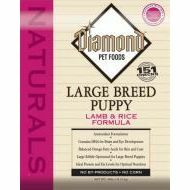 Feed your puppy a good quality puppy pet food until he is three or four months old. After that, switch to an adult food. Mastiff's should not be encouraged to grow too quickly as this can put stress on their bones and cause health problems later in life. 2. Divide the recommended amount of feed over three meals a day to start. Mastiffs tend to gobble their food and by offering smaller amounts at each feeding, they are less liable to be attacked by bloat. Bloat can kill a Mastiff before you can reach your vet. After 6 months, you can split the feeding between two meals. 3. Keep water available for your puppy at all times. Due to their slobbering nature, you will need to change the water several times a day. 6. ALWAYS CHECK FOR FOOD RECALLS!!! Type Dog Food in the Search Engine and it will bring up a list of Foods and Treats that have been recalled and the reasoning for the Recall. Unless you can catch him, it really does not do any good to drag him off to the site of his mishap and try and punish him. Keep him in sight if he is bold enough to try something in front of you, say "No," get his attention and take him outdoors quickly so he can finish eliminating in the appropriate area. Remember, it is your house. He has to earn his freedom through good behaviour and this is your responsibility. If your Mastiff dog will be trained to eliminate only outdoors, start by establishing an elimination spot. In the morning, clip his leash to his collar and take the dog outdoors to his spot for elimination. State commands like "go potty" or "hurry up." After he does his duty, bring the dog inside for food and water. About 15 to 20 minutes after the meal, take the dog outside again for elimination. Take your dog to his "spot" at each elimination time. Maintain a regular feeding, drinking, and elimination schedule. Even well-trained dogs sometimes have accidents. So your dog won't be tempted to repeat his mistake,clean the accident area with a pet odor neutralizer (can be found a local supermarket or pet store). A tip I have also found along the way is using white vinegar to masked the odor from your puppy (just because you can’t smell it, you’re puppy might be able to.) I have used this technique on a puppy bed. Added a small amount to the washer and the puppy no longer showed interest peeing on it’s bed. Clean household accidents to prevent the puppy from going potty in the same spot again. Don't leave food out all day; establish a feeding ritual of twice/day. This will help control their bowel movements. Never punish a puppy for an accident that has already taken place. They do not understand what they've done wrong after the fact. Do not stick your Mastiff puppy's nose in his accident. This ploy is myth that will do nothing other than making your puppy ill.
Providing your dog or puppy with a crate that is way too large may allow him to relieve himself in one end and sleep in the other. Placing food or water in his crate will allow him to fill up his bladder and bowel and he will have no choice but to relieve himself in his crate. Make sure you take your dog or puppy outdoors to eliminate on a regular schedule and especially prior to being left for prolonged periods of time. Feed a diet that is mostly meat (high protein) and high in fiber with minimal amounts of grain and carbohydrates. Some vets recommend completely eliminating grain and carbs if your dog has ever experienced bloat before. Try to get your dog to eat slower if she is gulping down her food, which may entail picking up her bowl a few times while she's eating. Dogs that eat fast tend to swallow a lot of air, which can lead to bloat. Do not allow your dog to drink a large amount of water after a meal. Ingesting a lot of water can cause gas and will also cause dry food to expand in the stomach. Keep your dog from vigorous activity, especially rolling over, for at least two hours after a meal. Heavy activity increases the risk of stomach twist. A leisurely walk is better and can also aid digestion. Contrary to all of the advice about how much better elevated food stands and drinking stands are, they are wrong in this advice as this places your pet at a much greater risk at swallowing air as they are eating. Be Careful of the Vitamins you use! I only say this because a great friend of mine lost a dog this way. Her vet had started her dog on a vitamin. The dog was a completely healthy girl and very well taken care off by her owner. Ultimately, she was lost to bloat. Since, this has happened I have done quite a bit of research on the subject. Vitamin C possesses the most threat. Some will say it's great for dogs, while others say there's no point. Either way there has been proof the Vitamin C can cause bloating in dogs. Rule of thumb: If you are changing anything dietary for your dog (food, vitamins) monitor your dog, just to be safe. These were just a few tips I thought I would put together to help you with your new mastiff puppy. Please keep in mind that mastiff’s are gentle giants and honestly require the care of a child. If this is your first experience with a mastiff I would suggest researching the breed further. However, I am always here to help you with your new mastiff in the best way possible, so please don't hesitate to ask for help if you need it. I will also be adding more information to my website, as I come across it. Thank you.